NOVEMBER 19, 2012: Winchester retirees won’t be thinking kindly of the town’s board of selectmen this Thanksgiving after reading a letter from Town Manager Richard Howard about the future of their health insurance. That’s because the letter reported on the selectmen’s unanimous approval of insurance changes, presented to them by Howard earlier this month, that are aimed solely at dramatically increasing the health care costs for retirees. Howard was the mayor of Malden for approximately 17 years before being named to Wilmington’s top job by the selectmen. NOVEMBER 8, 2012: Last night, the Easthampton City Council postponed any action on Mayor Tautznik’s proposal to adopt Sections 21-23 under which the mayor wants to negotiate a new insurance contract. The Council instructed Melissa Zawadzki, the city’s finance director, to provide the cost of entering into an insurance agreement with available plans that are available. She will then report back to the Council. NOVEMBER 7, 2012: Easthampton – The nine-member Easthampton City Council will meet tonight, November 7, and vote on a proposal by Mayor Michael Tautznik to accept Sections 21-23 of Chapter 32B for purposes of negotiating a new health insurance agreement with the city’s employees and retirees. It is reported that 2 members of the Council’s 3-member Subcommittee on Insurance are opposed to accepting Sections 21-23, while the chairman is in favor of acceptance. Sections 21-23 were a major component of Chapter 69, the Municipal Healthcare Reform law passed in 2011. 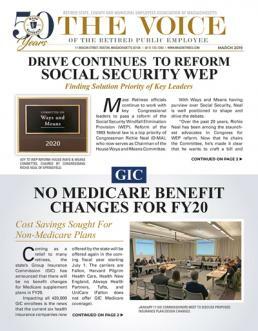 OCTOBER 26, 2012: On Tuesday, the Special Commission on Retiree Healthcare held its 5th meeting in six months, as it began to outline its report to be issued by December 20, 2012. The Commission’s legislative mandate is to explore the means to reduce state and municipal retiree unfunded healthcare liabilities. Actuaries have projected the state’s 30-year unfunded liability at $16 billion, while municipal liabilities come in at $30 billion. October 1, 2012: Private insurance companies should be leading the way in the struggle to control health care costs. They know about every contact a patient has with the health care system and can see how much is wasteful or redundant. By altering the way they pay doctors and hospitals, they can potentially push providers to reduce costs, improve quality and even transform the whole culture of American medicine. Six years after Governor Mitt Romney required every resident to obtain health insurance, Governor Deval Patrick signed a law that many consider the second phase of that groundbreaking experiment: trying to rein in the state’s health costs, which are among the highest in the nation. AUGUST 3, 2012: As the formal 2011-2012 Legislative Session drew to a close on Tuesday, House and Senate negotiators completed work on a long anticipated bill aimed at curbing the rise in health care costs over the next 15-years. The bill, which now awaits the approval of Governor Deval Patrick, is estimated to save Massachusetts citizens some $200 billion over fifteen years. JULY 18, 2012: The Special Commission on Retiree Healthcare met for more than two hours Wednesday morning in an effort to develop a list of potential reform measures to place before an actuary for cost analysis. JULY 16, 2012: The Special Commission on Retiree Healthcare will enter the next phase of its deliberations this Wednesday, July 18th, when it convenes its third meeting in as many months. Comprised of 11 members, the Commission’s purpose is to study and investigate both the long-term and ongoing cost of public retiree healthcare. The Commission is then to file a report with the Legislature by November 30, detailing its findings and making recommendations for further reforms. Massachusetts officials said today that a new law designed to help municipalities and school districts reduce their health insurance costs has saved more than $175 million in premium costs for 127 municipalities and districts.